Since first having a panic attack over 15 years ago, I’ve been told by experts that exercise is key in tackling panic. Despite knowing this, I’ve – perhaps predictably for a self-confessed occasional slacker – shied away from the old exercise route to combatting my nerves, choosing instead to try to reason and (over)think things through. When I manage to motivate myself, however, I realise they’re absolutely right – moving doesn’t only make me look better, it makes me feel good too – and that boost of serotonin is incredibly gratifying. As I’m currently officially Doing The Right Thing by my body, when I heard about David Lloyd’s foray into combining spin classes with life management classes spearheaded by the Open University, I asked if I could get involved. I attended one of the test cycles, and had mostly positive feelings about the endeavour. 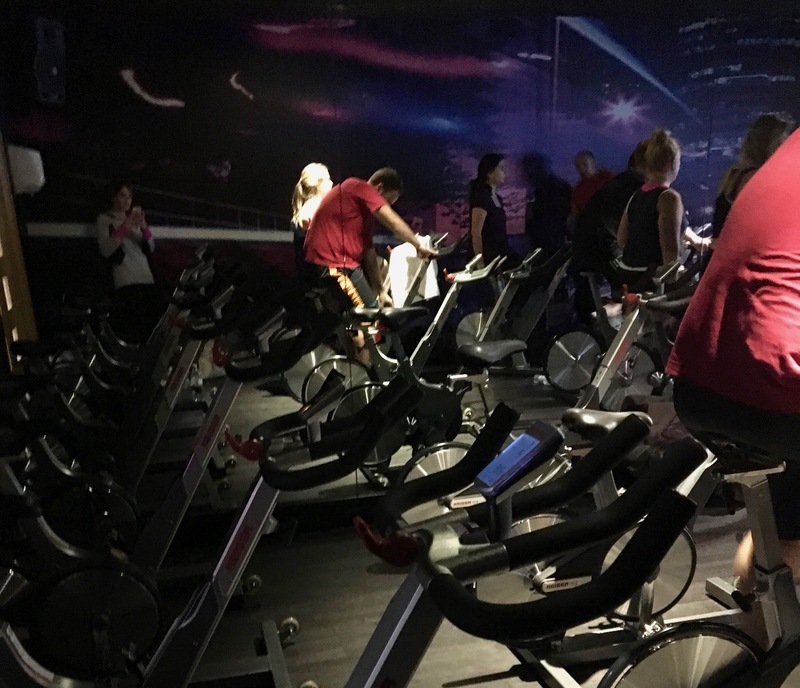 The class itself was pretty intense – as spin classes are wont to be – so I was grateful for the pauses in which short videos offering (in this case) financial advice were played. The brain part of the class was excellent, and I found that the delivering of money management lessons in bitesized portions helped me to understand complexities I’d otherwise have quite frankly not bothered with (see – slacker). Once I’d left, I felt doubly satisfied to have worked out my body and learned something, and think that this dual approach has the potential to help the time-poor (so everyone), and also help those prone to panic in providing short bursts of stimulation to body and mind. I have one note, though – if you choose to book in when these classes roll out and suffer from panic, I think you’d profit from telling the trainer first about your propensity to feel a little overwhelmed – as I get stressed when I feel out of my depth, I wished I’d had the foresight to do so as I ended up just trying to sit out some of the sections, only to be told to jolly well keep peddling.